Hijab is not only a kind of fashion. It is also an identity. That is why many muslim families introduce the wearing of hijab for their daughters as early as possible. Just like Nanni. 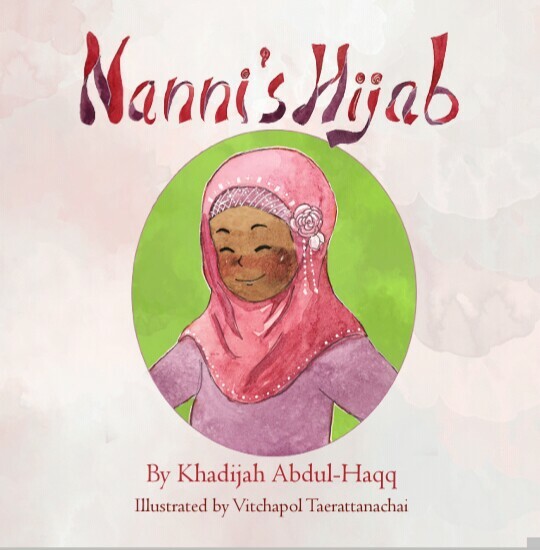 Nanni is a little muslim girl who loves to wear hijab to school. Not only loves wearing hijab but she also has many beautiful hijabs that her class mates adore. What so unique about her hijabs is she creates a specific schedule to wear them. Red hijabs for Mondays, blue for Tuesdays, pink for Wednesdays, green for Thursdays, and purple hijabs for Fridays. How clever! Nanni never wears the same hijab twice! One day, cheerful Nanni became very sad and embarassed because of her hijab. Oh, no, not the hijab. It was because of Leslie's bad act. Leslie, Nanni's new classmate, tried to bully her by made a mock of Nanni's hijab. She called the hijab 'he-job' and pulled Nanni's hijab off of Nanni's head. Nanni was so sad and angry. She once thought to fight back, but Allah Showed her a better way to reconciliate. Nanni became very happy with the idea and she could manage her anger and stole Leslie's heart. Ow, ow, what did Nanny do? Can you guess what she said to Leslie? Find the answer in the book which is dedicated for young hijabis. The Author, Khadijah Abdul-Haqq, wanted the muslim girls not to give up easily even in a bad situation. This American-born muslimah opened the readers' heart by displaying Nanni's patience in confronting Leslie. I myself agree with the idea although I think it needs extra, extra struggle to be as patient as Nanni. The book comes in colorful pictures that is really vivid. I love the coloring technique the illustrator used. It is Vitchapol Taerattanachai's work. Consists of 21 pages including glossary, cover and back cover, this book is suitable for young muslim girls who already wear hijab or in the look for wearing it. You can purchase the book via its publisher, Djarabi Kitabs Publishing, or at Amazon!